This is perfect for Wildfire and forestry agencies looking for an assortment of products but cannot meet our minimum quantity to purchase bulk. 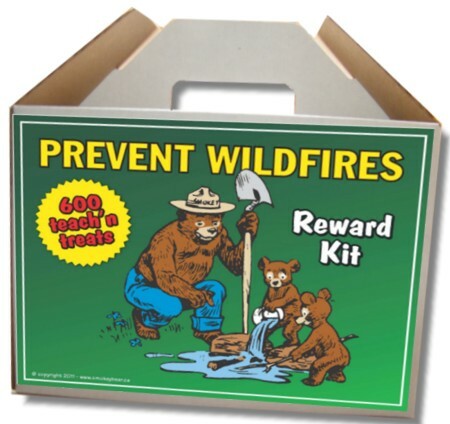 The Reward Kit is a very presentable handy handled box containing wildfire prevention goodies. Take this around to campgrounds and remind kids and families this summer to help prevent wildfires!